A squire is a companion and attendant to a knight or noble. In return for their service, they receive training in combat and other noble pursuits. This Childrens Squire Armour is perfect for any youth seeking to aspire to knighthood. 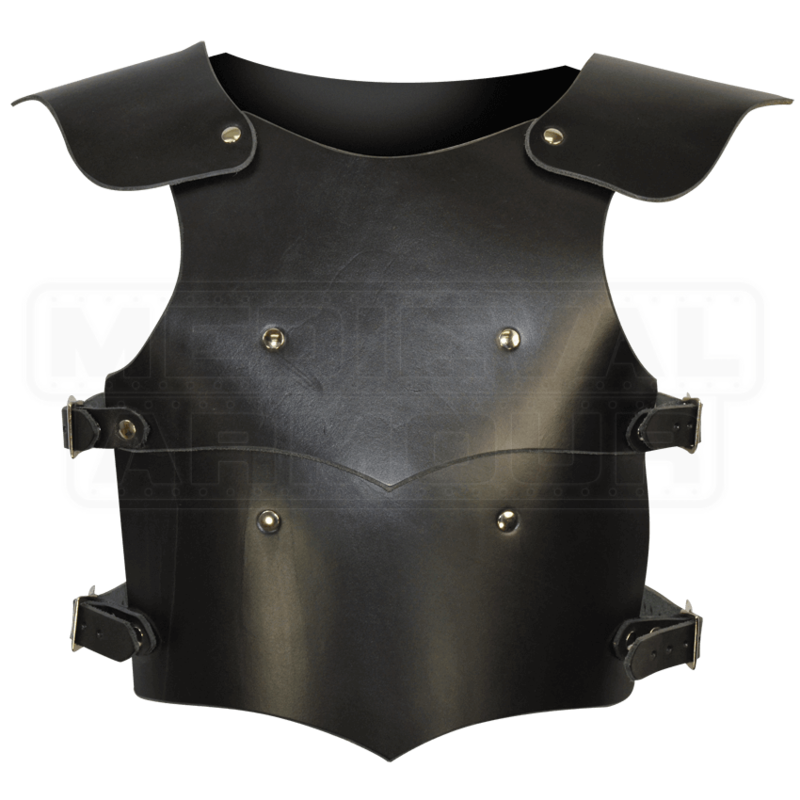 Hand crafted in our shop from 8/9 ounce leather, this childs armour is available in black, red, green, or blue with silver-tone hardware or any shade of brown with antique brass hardware. 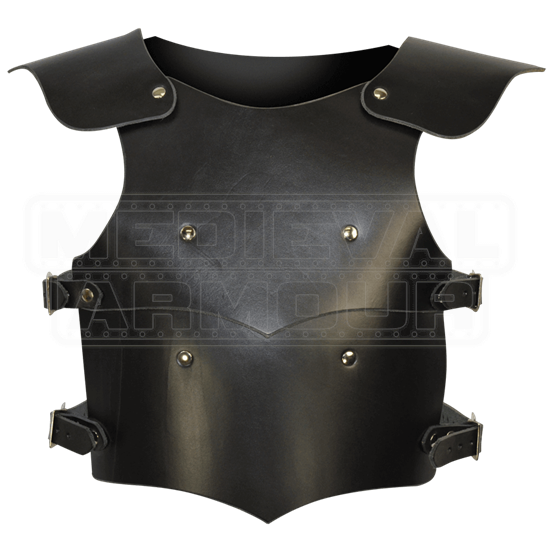 The youth armour is worn over the shoulders and secured in place with adjustable buckles and straps at the waist. Our Childrens Squire Armour is offered in three different sizes. Equipping your child with a suit of armour is a perfect way to get them involved in LARP and other medieval activities, or let them act out adventures from their favorite stories.